This Lot of 5 Pair Lac Bangles will cost: $ 85. 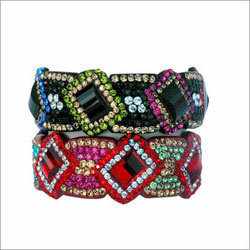 Here are we presenting Indian Lac Bangles or Kada that is available in various designs and colors. 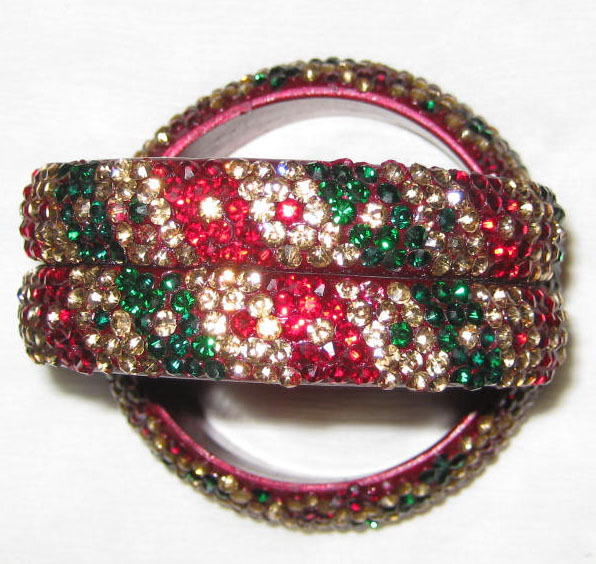 Exclusive Rajasthani Lac Bangle Set (2 Piece) is available in multicolor Rhinestone Embedded. This Elegant Bangle Set is Available in All Sizes like 2.4, 2.6 & 2.8. 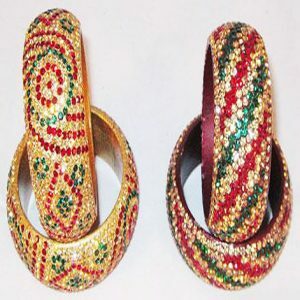 These Bangles made of Indian Lac/Lakh material which give you a traditional look with sari & suits. 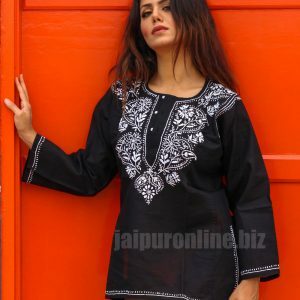 These look so beautiful when teamed with both traditional and western outfits. It must have in your lovely collection of fashionable accessories. Beautiful handcrafted “LAC METAL BANGLES” are prepared with the fine quality raw material. 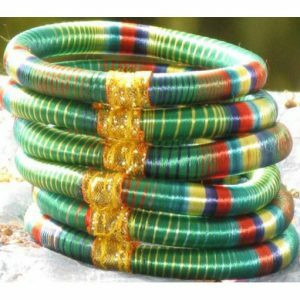 ** Every Lot will contain Lac bangles of different designs that showed in the above image. 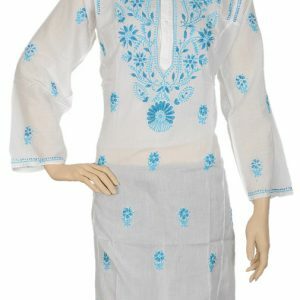 ** Color and Pattern/Design/Style will vary do contact us using query form in case of any confusion. 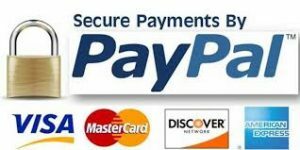 Feel free to contact us, we will feel pleased to answer all of your queries.